Another Celebrity Is Leaving Twitter—Can You Blame Her? It's a tale as old as time: Celebrity joins Twitter, celebrity gets viciously harassed on Twitter, celebrity becomes a shell of their former self because of Twitter, until finally—celebrity leaves Twitter. 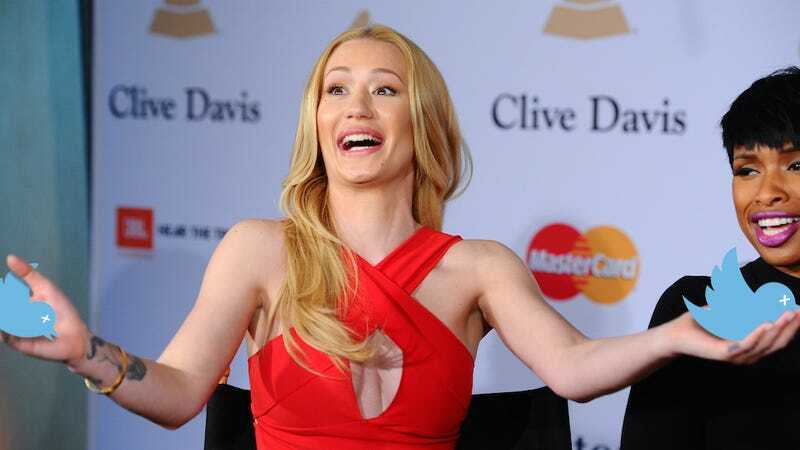 Rapper Iggy Azalea is now counting herself among the chosen few (hundred). Because remember: Twitter's broken, and it's not getting fixed any time soon. This newest case is essentially just a rehashing of the horrific abuse Robin William's bereaved daughter went through (though admittedly less graphic). Azalea explained her decision in a series of tweets that basically boiled down to "the internet is a dark and horrible place and the only way to escape is to straight up leave." And at least for now, on Twitter, that really is the only way to escape the trolls. As we've said before (and below), erring on the side of free speech means opening the door to a whole slew of unpleasantness—in addition to few who really, truly need and might otherwise not have any voice at all.